Life is full of surprises. We can only take a peek of what’s in store for us. No wonder man is capable of such wonderful things. we have everything we need in this world, and the things that surprise us tend to push us to our limits. But we have to keep in mind that we have to be brave in order to achieve success. One must not falter with one failure ,for he or she would have thrown out a bag of opportunities. One good example is the hardship that I went through to perfect my homemade brownie recipe. It took me a while to get it right, but I never gave up no matter how many mistakes I made. It’s just a process of right minus wrong because in the culinary world, it is impossible to make a perfect recipe with just a snap of a finger. You have to dig in in deep with your emotions and prepare to Face lots of failures so that when you finally achieve triumph, it would be as sweet as the pastry that you made. And I would like to share One of my greatest moments by teaching you how to make my special homemade brownies. It may be simple but the taste is definitely worth remembering. Get a pen and paper handy and write this down. Put some butter on the sides of an 8 inch pan to prevent your brownies from burning. Melt the butter in a large sauce pan. Remove it from the flame and add the eggs and vanilla while stirring. Add the Cocoa powder, Salt, flour and baking powder while beating the mixture. Spread the batter in the pan. Bake for 25 to 30 minutes. Remember not to overcook. Remove the tree from the oven, then cut the brownies into your desired shapes and sizes. Quite easy isn’t? Remember, it didn’t take Thomas Edison 100 tries before he could make a lightbulb. He just found 100 ways how not to make a lightbulb until he found a way to make one work. Never give up, never surrender. Enjoy your brownies! Cheers! That’s all folks. Did you enjoy our homemade brownies recipe? Let us know in the comments section below what you thought of our BBQ recipe list. Do you have a favorite homemade recipe that’s been in your family for ages? Share it with us and we’ll give it a shot. We love making quick and easy recipes that you can make right from the comfort of your home. Hence the reason we started Homemade Recipes.com We want to share our love of cooking with the you! We need your help in creating a community of foodies where you can come and share your recipes and expect the best homemade food prepared by our team of expert chefs and food connoisseurs. 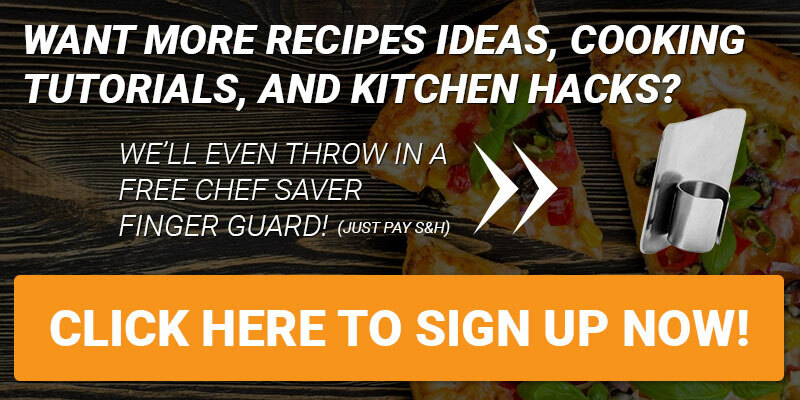 Do you want to write for Homemade Recipes? Shoot us an e mail and make sure to stay in touch on Facebook, Twitter, and Pinterest!